Rainy days getting you down? Don't fret; there's more to staying home than lying in bed the whole day (although that actually sounds appealing). Here, some quick tips to bust boredom. 1. Give your room a budget makeover. 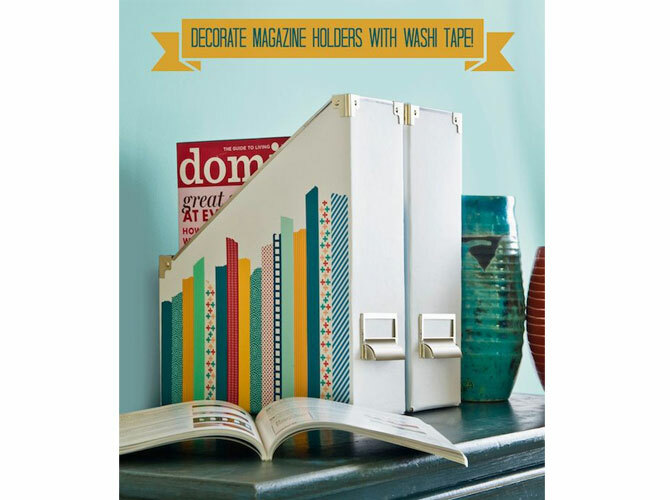 With some rolls of Washi tape, you can transform your room into a Pinterest paradise. Washi tape can be picked up at National Bookstore and craft stores for below P100 a roll. Outline your doors, cabinets, frames, and even light switches to inject some brightness into an otherwise drab day. Click here for some ideas to get started! 2. Make a Snapchat movie. Snapchat lets you send photos and short videos that self-destruct shortly after the recipient views them. Try the app's Story feature that allows you to stitch together your "snaps" to create a narrative. The catch? It gets deleted after 24 hours, making way for new stories for the next day. We suggest you mash together a drink from scratch, and get creative coming up with a fun name to match. Note: The cocktail name Cosmo is already taken, but we’re honored. 4. Get some tarp and bring out your skimboard. 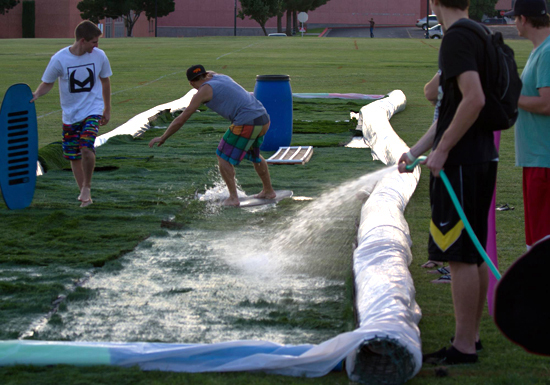 Lay some old tarps on a large grassy surface to create a slip n’slide sans excessive water waste. Add a skimboard, and you can have some beach-style fun without sand up your bum. CAUTION: Like any sport, this is potentially dangerous. We urge you to exercise caution if you attempt this. Recommended for experienced skimboarders only! 5. Bake a rainbow cake. They say a rainbow always comes after the rain, but we're the have-your-cake-and-eat-it-too kind of gals. You’ve seen them in food markets, on Tumblr, and in your dreams. The rain has brought you the opportunity to make this baking wonder into a reality. Click here for instructions. 6. Stay in bed all day with your boo. They call it cuddle weather for a reason. We have a great source here for bedtime readings that you can peruse (Wink!). While you're at it, here's the perfect rainy day playlist for you!